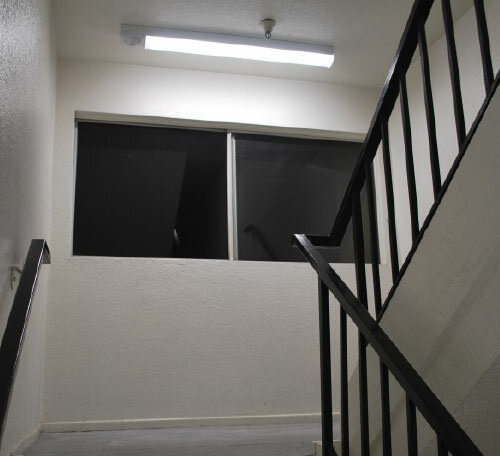 Apartment complex in Costa Mesa, California, looking to increase peace of mind in their residents by improving the quality of light in stairwells upgrades its existing fluorescent strips to a more efficient LED solution. The client was able to provide added security and reduce its energy usage. 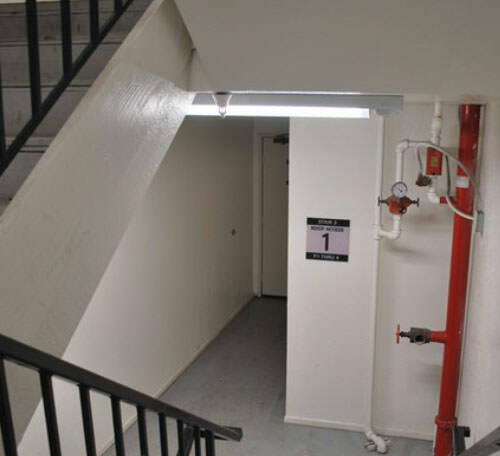 FSC Lighting’s L6000 Series Radial Wrap replaced the 59-watt fluorescent strips throughout the apartment stairwells, drop-ping lighting costs by 58%. Following the replacement of 59-watt fluorescent fixtures without sensors with FSC’s 25 watt L6000 Series Radial Wraparound with occupancy sensor, the client was able to use 69,099 fewer kilowatt hours (kWh) per year. In addition, by decreasing their energy consumption, this apartment complex was able to save $36 per fixture a year, approximately $8,292 annually. Apartment Complex will save 69,099 (kWh) in stairwell application; total savings of $8,292 annually.